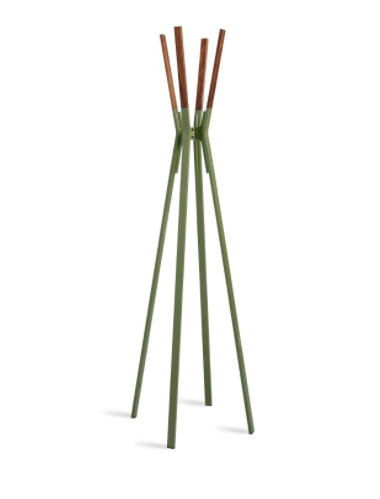 Create a more organized entryway by adding spot for coats by the front door with this stylish walnut wall hook. 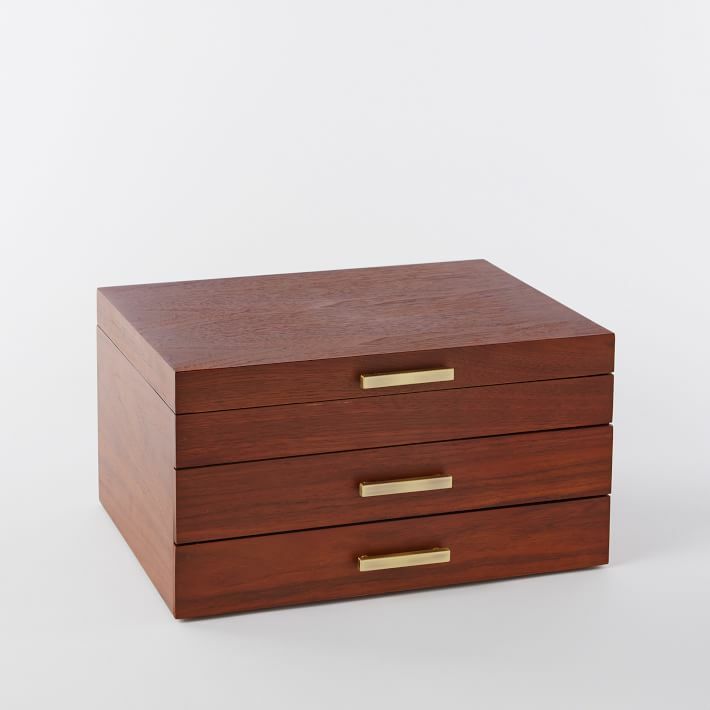 Organize your dresser by stashing necklaces and earrings in this beautiful walnut jewelry box. Is there such a thing as too many caddies? 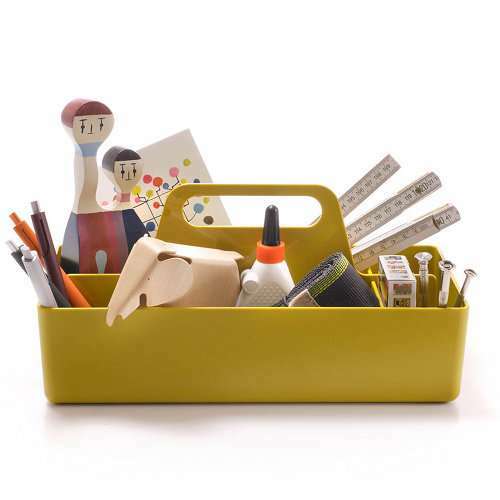 Corral craft supplies, household necessities or tiny toys in this mustard must-have. 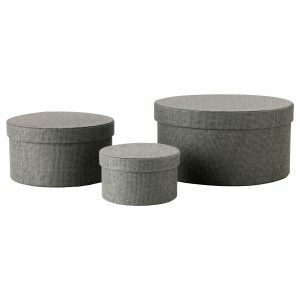 Perfect for storing small items, this minimalistic set of round boxes looks good enough to have a home on your bookcase. Don’t forget the laundry room! 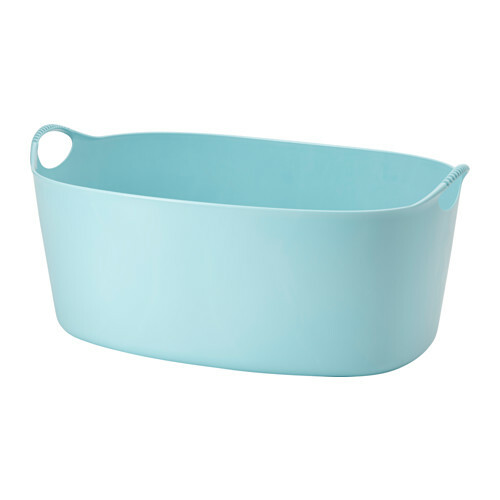 This rubber laundry basket‘s bright teal hue might just make doing the laundry a little less drab. Bonus: Come summer you can fill it with ice and set it outside as a mod drink cooler! 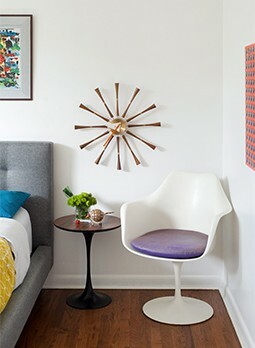 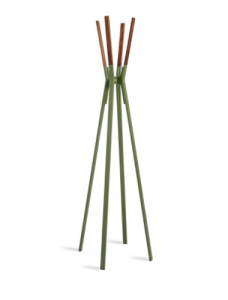 Upgrade your morning routine by setting out your clothes the night before—but rather than tossing them over the arm of a chair, hang them on a stunning mod valet. Need a place to hide unsightly remotes or game controllers? How about an extra blanket or your favorite magazines? 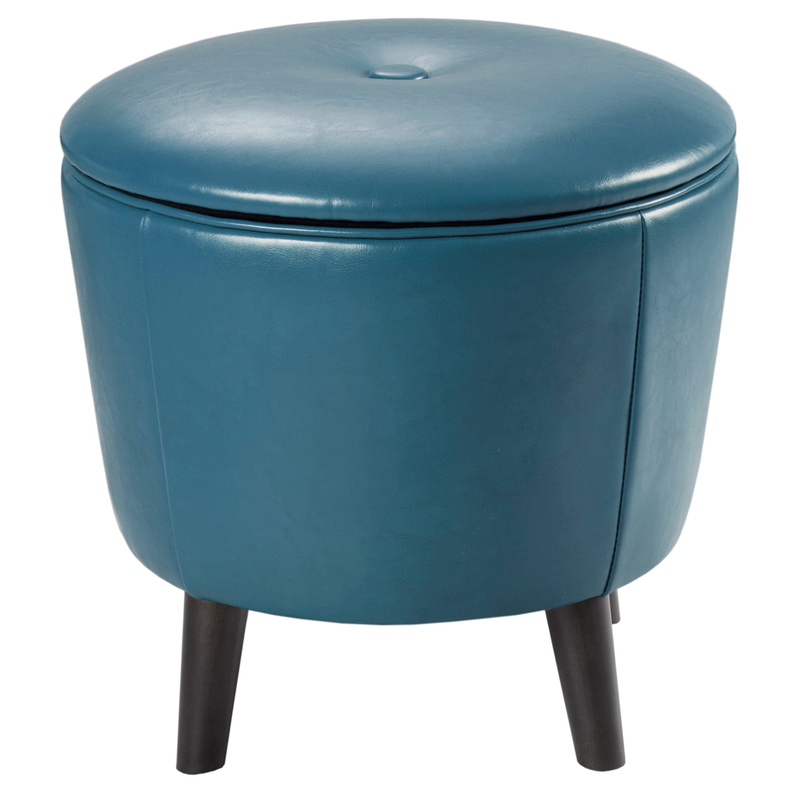 This peacock blue cutie is the perfect solution.